Only porous materials, having a large specific surface, can be adsorbents. To dry air – silica is most commonly used. 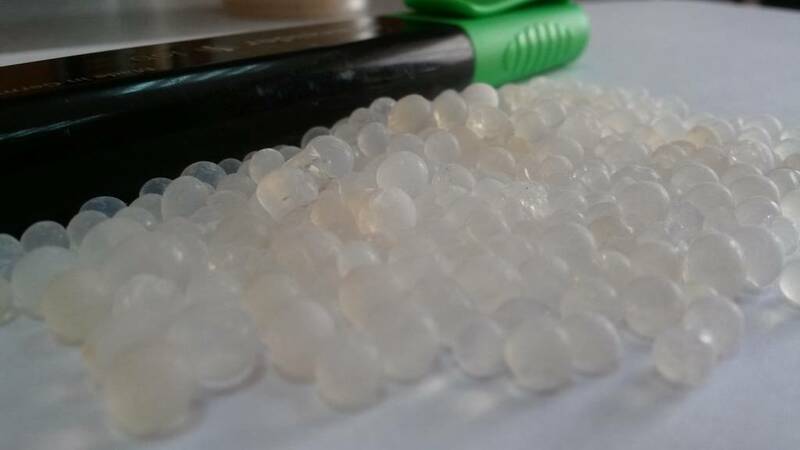 Silica gel is a result of dehydration of sodium silicate. The specific surface area of this adsorbent is 400-770 m2 / g and granule size – 0,2-7 mm. At the end of its effective operation the moisture level is 9-11%. Residual moisture content is not more than 0.02 g / kg. With more absorption – the drying gradually reduces, and there comes a moment when the moisture absorption from the air completely stops. In order to restore the absorption properties – it is heated to a temperature above 100 ° C or air dried (150-180ºS temperature). The process of adsorbing moisture from the air depends on the pressures. The adsorbed water vapor forms a concave meniscus inside a capillary of adsorbent. The partial pressure of water above the concave surface is lower than on a flat surface at the same temperature. Therefore the steam from the air diffuses into the capillary cavity and is condensed there. The intensity of the drying process depends on the difference between the partial pressures of saturated water vapor above the surface of the meniscus and air dried. In industry there are two types of air drying devices. A device with a continuously rotating absorbing layer or a fixed layer device. The first has 75% of the adsorbent constantly in the stream of drying air The remaining part passes through the stream of hot air, where it is giving away absorbed moisture and restores. In the devices of the second type the adsorbent is not moving: one part is absorbing moisture and the other – desorbed. Automatic switch changes between the modes after a certain period of time.